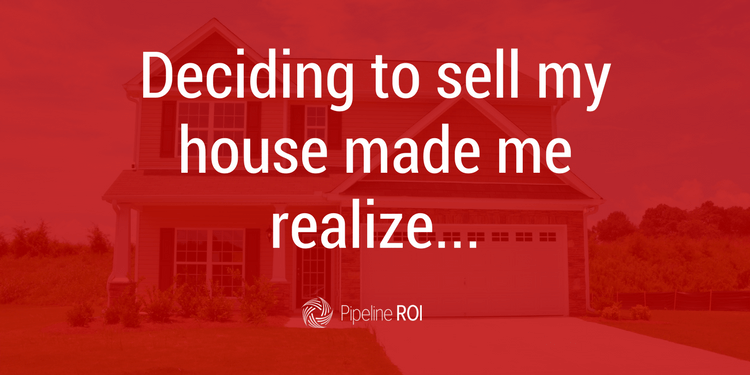 My wife and I recently decided to sell our house – the first one we ever owned. The house where we became parents to our first two kids. Now, with another on the way, well, we need a fourth bedroom! When we started considering what we needed to do just to get ready to put the house on the market, the list was considerably longer than we anticipated. Once we started trying to actually do the things on the list…it got even crazier. Next thing I knew, I found myself standing over a jackhammer, knocking out part of our back patio to fix a slight drainage issue. Somewhere in the process of hauling away thousands of pounds of concrete, it hit me – this isn’t going to be easy, but I believe it’s going to be worth it. Don’t get me wrong, it’s a great house, and we’ve made lots of updates. It doesn’t need anything major fixed. We replaced the roof, A/C, paint, and more over the last few years. Still, there’s just something different about how you look at things when you put your “potential buyer glasses” on. I bet they’ll notice that little crack in the tile. When did all those flowers die?! The kids’ Hot Wheels have really taken a toll on the baseboards. Things we previously overlooked have suddenly started sticking out like a sore thumb. Why? Well, it’s more important now that we have a goal to get our house sold quickly and for the price we want. It’s possible this idea of “deferred maintenance” is plaguing your real estate website and marketing right now, and you don’t even realize it! When was the last time you actually checked out your own website on your phone? Was it easy to navigate? When was the last blog post you published? Do you have the information about that new neighborhood everyone is looking for? Do you have lead capture forms strategically placed throughout the site? Do you have drip e-mail campaigns consistently going to your contacts? Do you have social media accounts that you haven’t used to post anything or interact with anyone in longer than a week or two? Have you updated your listing presentation recently? Have you tried anything new recently? There are so many new and creative ways to engage potential clients. Don’t be scared to try something new…what if it works? Are you asking clients for testimonials to use in your marketing? These are a great way to inspire confidence in potential clients and show them that people love working with you, you have important experience, and you’re the agent they should choose! These testimonials can be used in tons of marketing pieces. Have you asked anyone for referrals lately? Have you given any? Have you reached out to local businesses to explore potential for cross-marketing efforts? Those are just some of the questions you should ask yourself concerning your real estate marketing, website, and branding (especially this time of year). During busy season, it’s easy to get nearsighted. There are so many things to get done right now, you may put off your marketing…but you shouldn’t! If you do, you’ll look up in a couple of months and realize your pipeline is empty. How do you keep it full? Get effective marketing in place with automation that allows you to keep consistent touches with your contacts and still accomplish the day-to-day tasks of busy season. Would you rather cash commission checks now, or later? How about both! Capture, nurture, and close more leads. 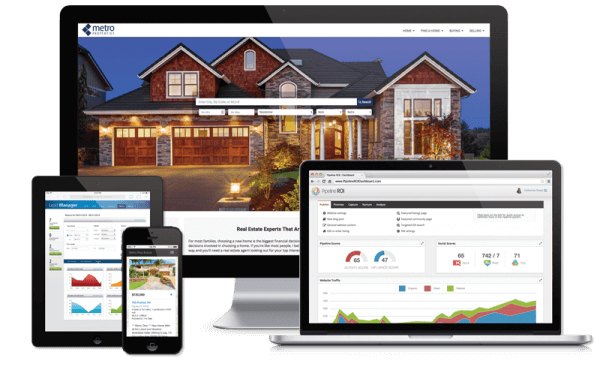 If you’re looking for a beautiful mobile-responsive website, customizable lead capture, IDX listings, automated drip e-mail marketing, lead management, and more – you should check out Pipeline ROI. Our inbound marketing platform gives you everything you need to capture, nurture, and close more leads in less time. Plus, it’s just $69/month for the single agent platform, and $199/month for brokers/teams.